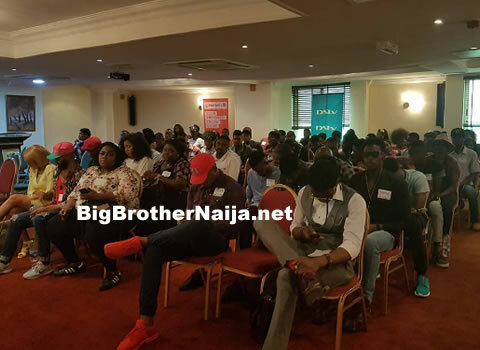 Big Brother Africa 2019 | Season 10 Housemates, News, Contestants, Live Stream, Polls, Nominations: Big Brother Nigeria 2017 Auditions Concluded!! Big Brother Nigeria 2017 Auditions Concluded!! Lagos - MultiChoice Nigeria has concluded its search for participants in the upcoming Big Brother Naija reality TV show. The auditions which held in Lagos, Abuja and Port-Harcourt, witnessed an impressive turn out of Big Brother Naija hopefuls. Caroline Oghuma, Public Relations, Manager, MultiChoice, expressed her delight at the abundance of talent displayed during the auditions. She noted that the Big Brother reality show is about providing a platform to showcase people from different walks of life, creating an avenue for talent to be spotted and ultimately propelling people into super stardom. The Big Brother Naija reality TV show starts in January 2017 and will air on dedicated channels on DStv and for the first time, GOtv Plus. Only one housemate will win the prize money of 25 million Naira and a brand new KIA Sorento car. Launched in 1999, the Big Brother phenomenon has stormed the world and as of November 2016, there have been 387 seasons of Big Brother in over 54 franchise countries and regions.